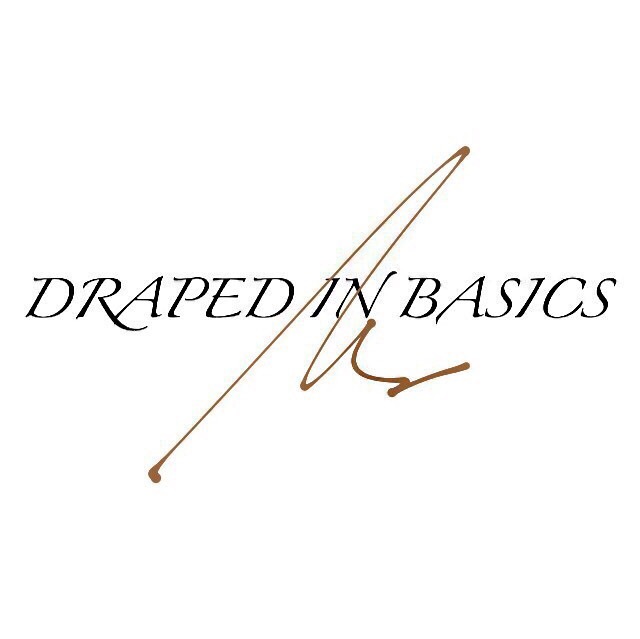 HOW TO ACHIEVE GREAT SKIN ON A LOW BUDGET. Currently stuck in traffic on my way home from work. One of my penned down goals for 2017 was to curb how much I tend to procrastinate on getting things done but it’s December 2017 and I don’t think I’ve improved one bit but thanks to my amazing Instagram family for participating in my poll and pushing me to put this post up tonight. 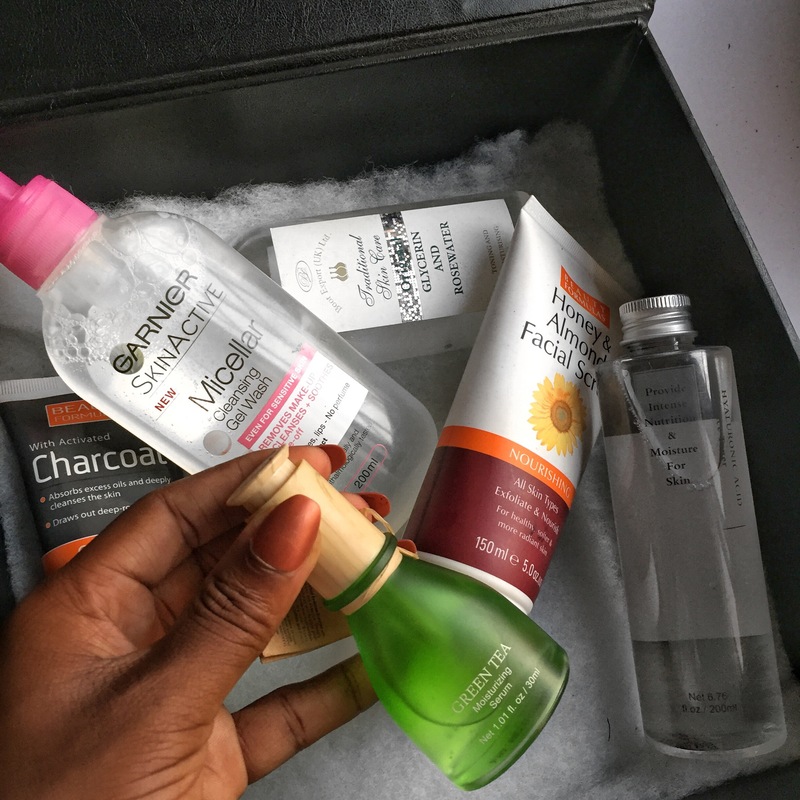 In this post I’d be sharing with you my skincare squad for a healthy skin this holiday season and in preparation for the new year.I’m still very much sticking to my five step routine which includes cleansing, exfoliating, masking, toning and moisturizing. Purchased At Ebeano Supermarket, Lekki Phase One. 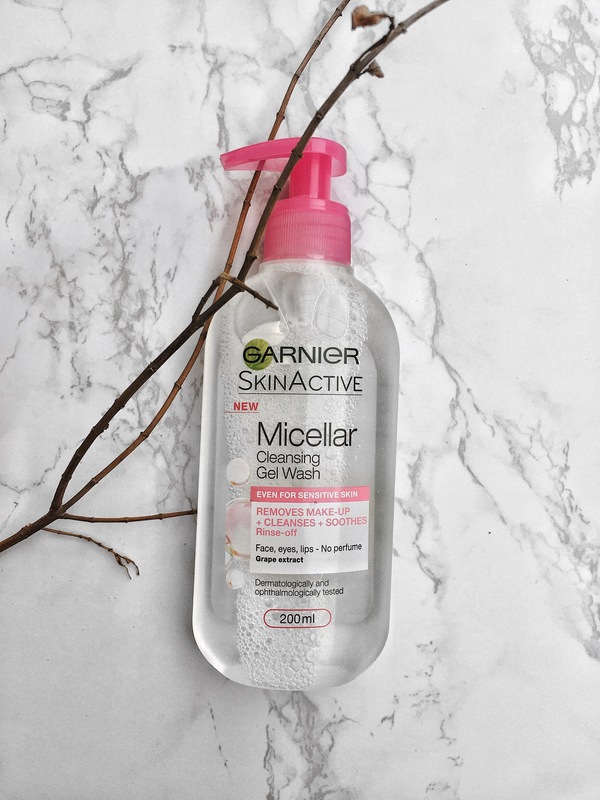 This garnier skinactive micellar cleansing gel wash is the TRUTH especially if you’re lazy like I am when it comes to taking off your makeup at night. All you have to do is apply all over your face including eyes and lips and rub away, then rinse off. It’s a pretty amazing facial wash, gets the job done and costs less than 2000naira. EXFOLIATING : Weirdly, this is my favorite part of my skincare routine. With exfoliating, you’re either getting them dead skin cells out or killing your skin cells. 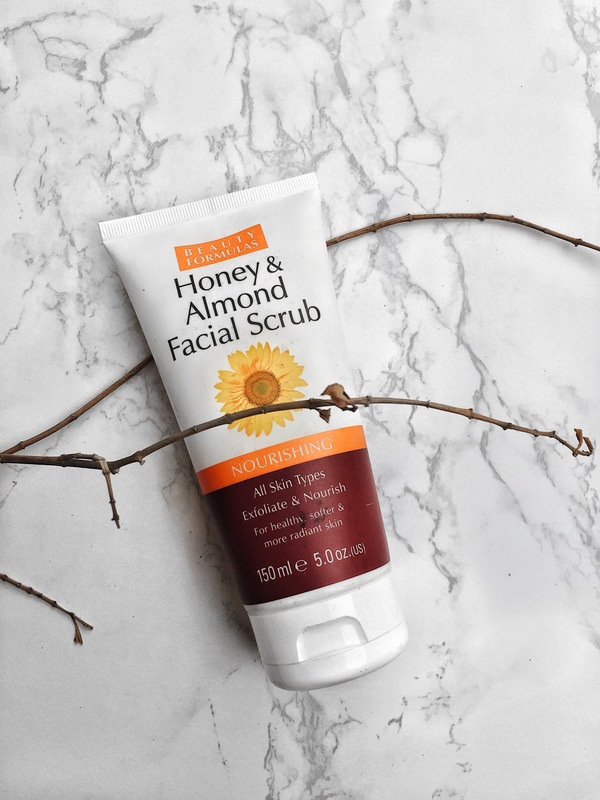 You’d want to make sure the exfoliant in your scrub is very mild, not harsh on the surface of your skin and this BEAUTY FORMULA honey and almond facial scrub is so soothing yet exfoliates your skin while at it. This costs less than 1,500naira. MASKING : Mask off, NO mask on!!! It’s pretty amazing how much this step is and very effective if you’re using the right product. 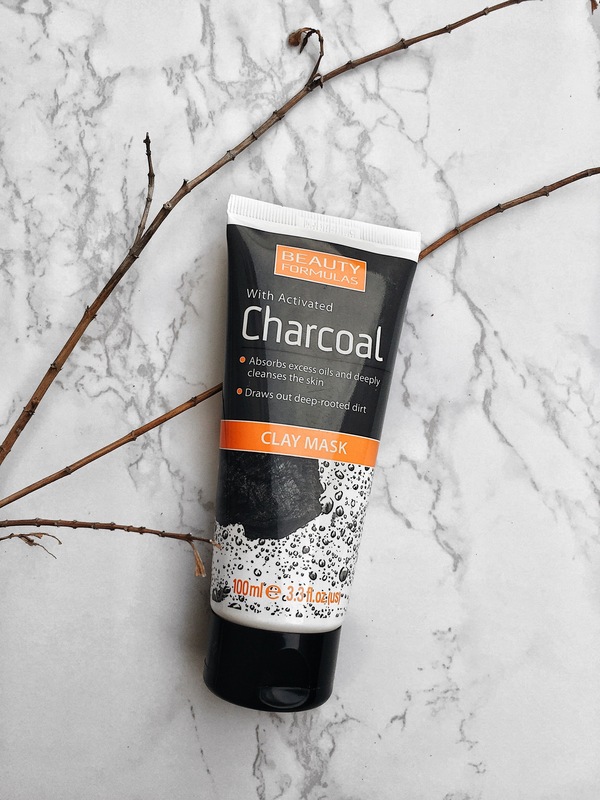 Although I use this mask when I want to get rid of a pimple asap, I love this beauty formula charcoal mask because of how my skin feels so soft and clear after using it. To be honest with you, my best thing about this mask is the fact it costs less than 1000naira, like can it get any better than this?! TONING : Till date, I sincerely do not know the usefulness of toners LOL. I got my first timer because I heard it’s a good thing to tone but I ended up using it as a setting spray for my makeup. 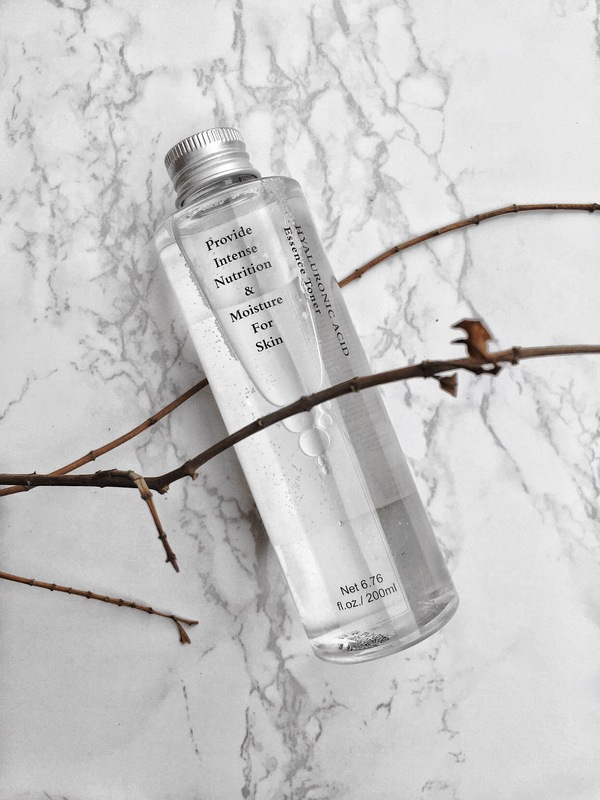 In the case of this toner, what caught my eye was the the packaging, then I went ahead to find out the usefulness of the Hyaluronic acid to the skin which includes increasing collagen synthesis, adding moisture to the skin etc and that sold this toner to me. This particular acid helps to which I think is great if you have oily skin like I do. I purchased this for less than 2000naira, talk about a good deal!! 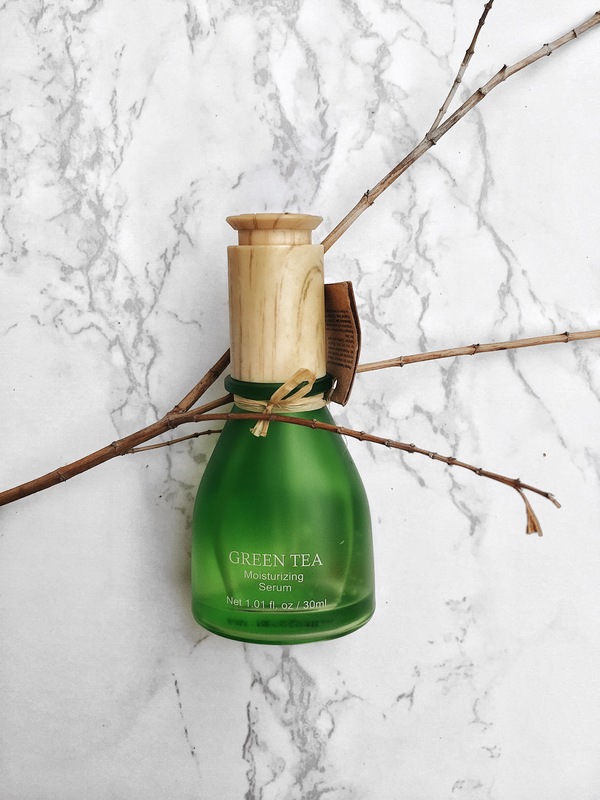 MOISTURIZING : I don’t think I need to talk about the importance of moisturizing, I’ve come across people say they don’t moisturize because of the harsh sun in this part of the world and I believe that’s why moisturizers like this GREEN TEA SERUM were made. This serum is highly moisturizing without being greasy which makes it perfect for oily skin and even dry skin as it has a dewy glow look on drying but a pretty matte feel. This one is another awesome steal as it costs less than 1000naira. BONUS STEP : This is me just being very EXTRA, I put this rosewater and glycerin mix in a tiny spritz bottle and just spritz it on my face during the day when it gets so hot just to create and illusion of washing my face with water and I bet by now we already know or have heard of how good to the skin rosewater and glycerin are. At first when I decided to start paying attention to my skin, my major hassle with maintaining a routine was how skincare products were too pricey for my student budget but I’m glad I’ve been able to find stores and products that are low budget friendly. I hope that if you try these products out, they work as good for you as the have for me so far. Have you tried or heard of any of these products? What products have worked for you so far and what challenges have you faced with skincare? Do share your thoughts with me by leaving a comment below, thank you. Been tryna take my skin care routine seriously but bcos of cost and my super sensitive skin, I ve been pretty skeptical abt what’s products to use. Definitely gona try some of these..especially the cleaner and the moisturizer..hope it works for me as much as it does you cos ur skin be goals!! Nice post. Please I’d like to find out if the every step should be carried out everyday. Oh lord, the photos are simply mouthwatering. Photo goals! I really like seeing what skincare products people use, being a skincare junkie myself. I like the range of products you use, and it’s amazing they are quite affordable considering it’s for the skin. Right now I don’t have a set routine and it’s a struggle, but I hope I can change for the better. 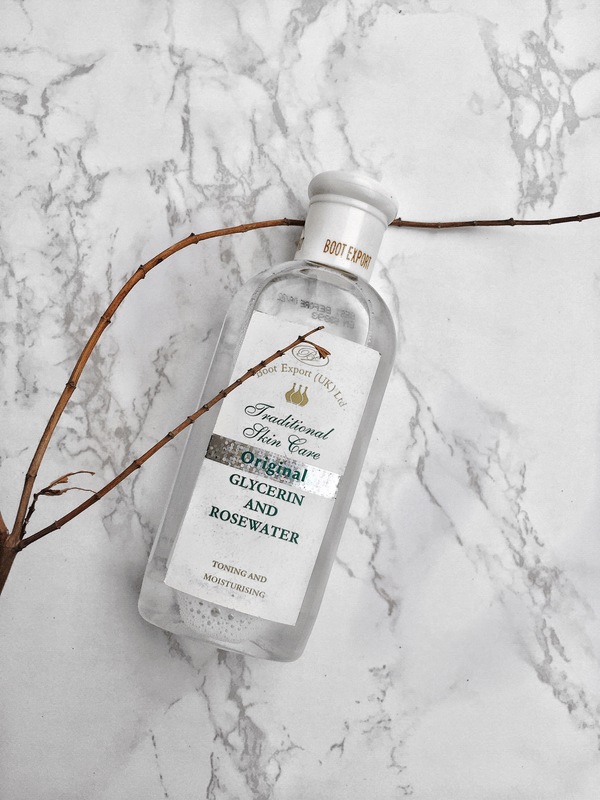 I’ve always wanted glycerin and rosewater, in fact this whole post is just mouth-watering lol! Trying to stop myself from going crazy with all the skincare products and brands out there! 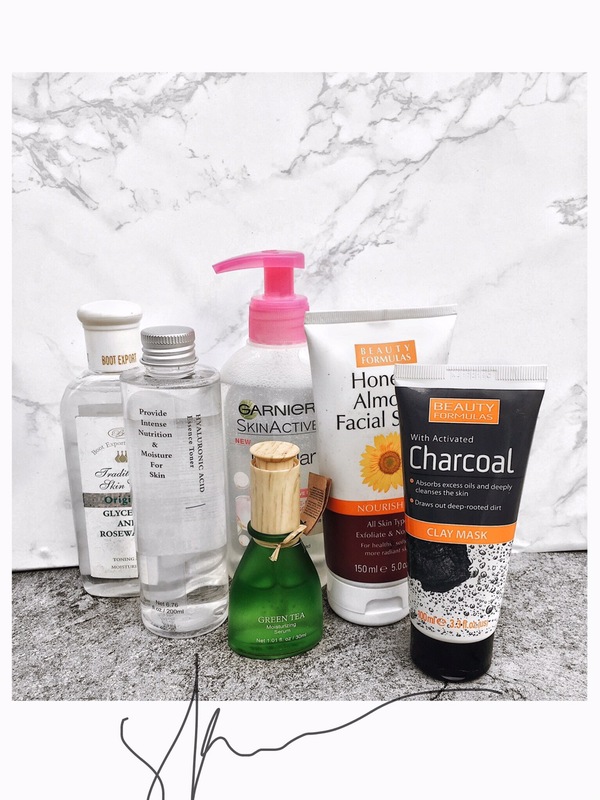 I definitely want to try the charcoal mask and micellar water. I used charcoal mask once but it didn’t work so well for me. Currently using rosewater as a toner and rosehip oil for my acne spots. Hopefully it works 😦 Mans just wants clear skin lol. Great post! And thanks for sharing. i have used the boots rose water and glycerin toner and currently use the charcoal mask(totes fantastic btw!). i stopped using the toner after 2 years because i had a skin reaction to water when i moved out of lagos for my masters. after i got my skin under control i just didnt use it anymore because i didnt seem to need it. i used it a few times recently but i have not made a conscious effort to include it in my skin care regimen anymore. Please could you share your skin care regimen for the rest of your body and also what sunscreen you use for your face and body if any. Thank you so much.This was super helpful! !